Belgian food group Ter Beke has sounded a note of caution on its full-year outlook, as the group is yet to see consumer confidence fully return in the wake of the European horsemeat scandal. In a sales update released today (8 May), Ter Beke said first-quarter revenues had been dampened by the horsemeat scandal and added that - while it is working to counter the resultant loss of consumer confidence - demand continues to be down. "It is at this stage impossible to assess how long the horsemeat scandal will continue to affect consumer confidence. The group is doing its utmost to neutralise the negative impact as soon as possible and the first signs of recovery are apparent," the company said. During the first quarter, the company booked a "similar" turnover to the comparable period of last year, as higher demand for processed meats offset weakness in its chilled ready meals business. The company said that in order to rebuild demand at the unit it is investing in additional promotions. which, it said, would have a negative impact on first-quarter profitability. Nevertheless, Ter Beke added it is "confident" that the full-year result will be on a par with 2012. The consolidated turnover of Ter Beke in the first quarter of 2013 is similar to the turnover in the same period of 2012. A higher turnover was realised in the processed meats division. The operational result of that division also increased compared to the same period in 2012. However, this increase could not entirely compensate the turnover and result decrease in the ready meals division. In February 2013, the frozen ready meals sector was confronted with a scandal originating from the presence of horse meat or horse DNA in frozen ready meals which, according to the label, should not contain such meat or DNA. 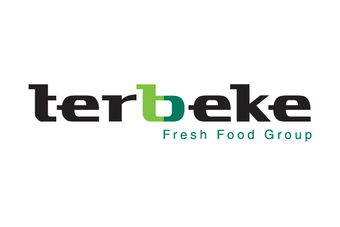 Ter Beke only produces chilled ready meals. We deplore that these events also negatively impact our sector and in particular the turnover evolution in the ready meals division, even though Ter Beke's products were not at all concerned. We concentrate fully on an open and transparent communication with our customers and our consumers and are doing our utmost to reconfirm our customers' confidence in our chilled products as soon as possible. This requires additional promotions and investments, the cost of which will affect the first semester result but the effect of which may occur at a later stage. In view of these promotional activities, we have also asked our suppliers for a limited contribution to this investment, as it should be beneficial to the entire supply chain. It is at this stage impossible to assess how long the horsemeat scandal will continue to affect consumer confidence. The group is doing its utmost to neutralise the negative impact as soon as possible and the first signs of recovery are apparent. Depending on this and save for any other unforeseen market circumstances, the group remains confident that the full year result 2013 can still equal that of 2012.